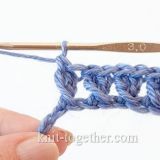 This pattern is made with Treble Cross Stitches. 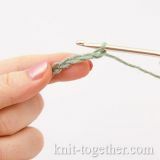 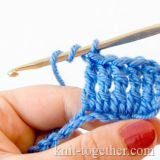 If you didn't meet this technique we recommend you to read: How to Crochet a Treble Cross Stitch. 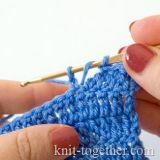 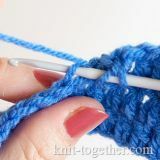 For an example make chain stitches a multiple of 3, plus 1 chains for the symmetry of the pattern, plus 4 turning chains. 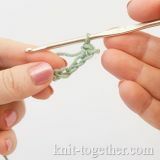 2 row: 4 turning chain, * 1 treble cross stitch over treble cross stitch of previous row *, 1 treble crochet in last turning chain of previous row. 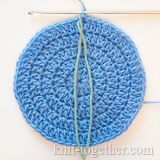 This pattern repeats from 2nd row.